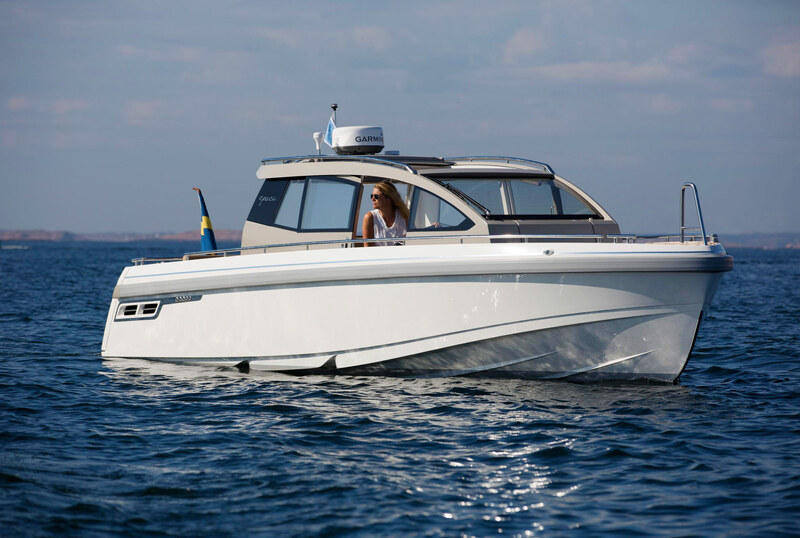 Epoca Coupé – New thinking, clever simplicity. The Epoca Coupé provides a luxuriously equipped helm environment, with comfort and simplicity similar to a car. 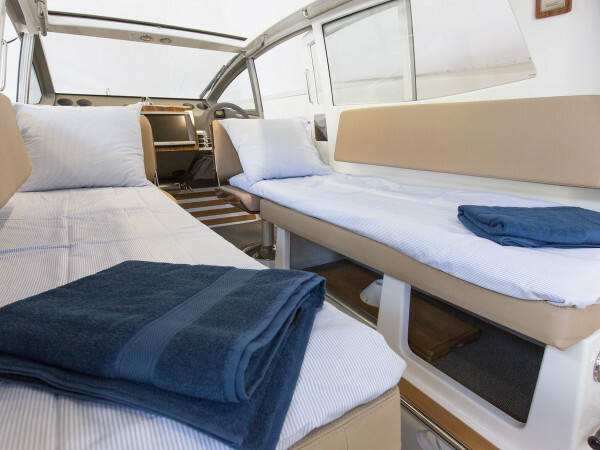 A roomy coupé with space for 6-8 persons and a large opening canvas roof. 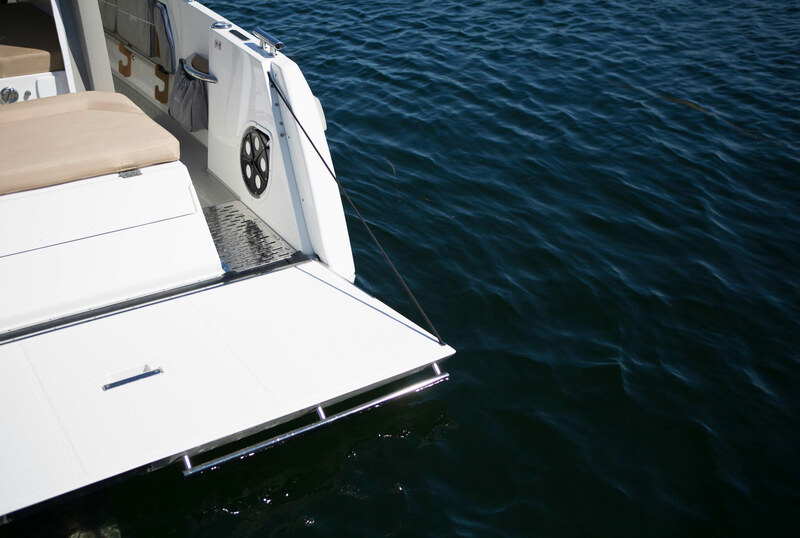 The boat provides overnight facilities for two with a 6’6” double berth. 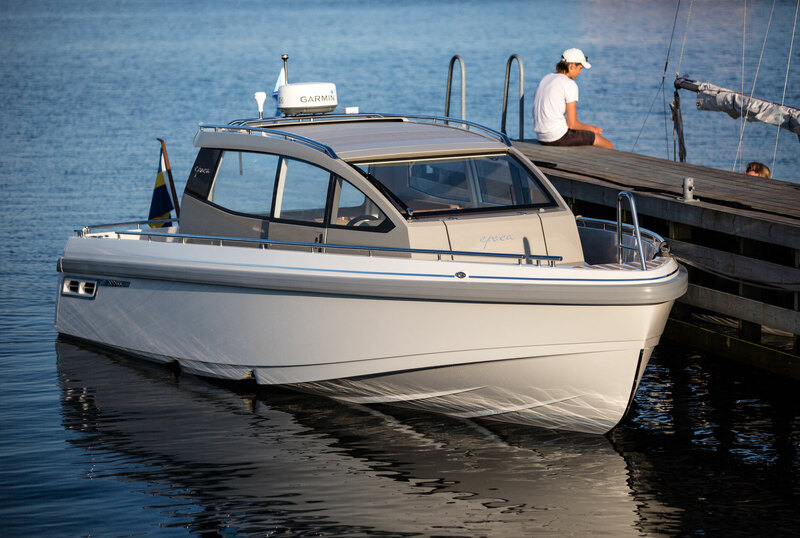 Other features include an electrically folding stern, bathing platform with integrated bathing and life-saving ladder, roomy, light and airy head with washbasin and an extra wide fender rail. 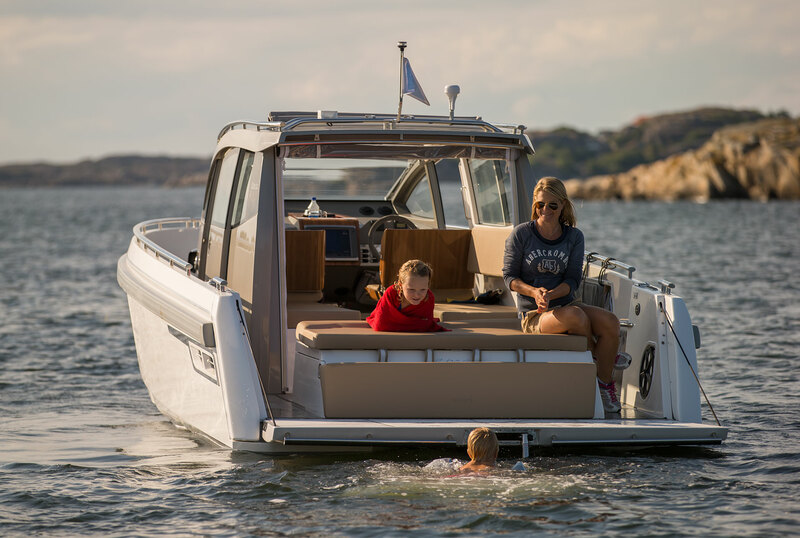 The Epoca coupé is a multifunctional boat for today’s family, while providing that little extra in the shape of beautiful craftsmanship and quality feeling. 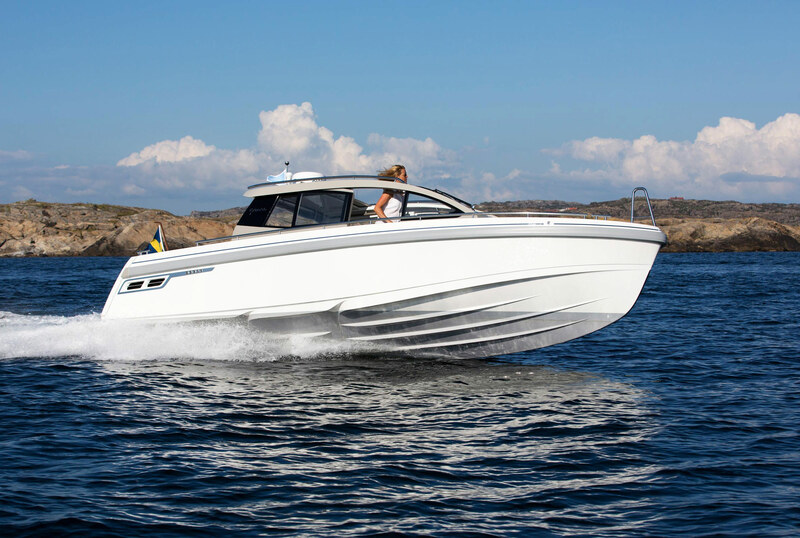 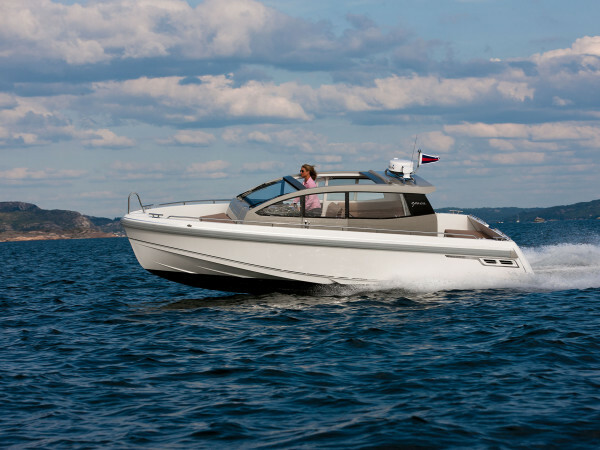 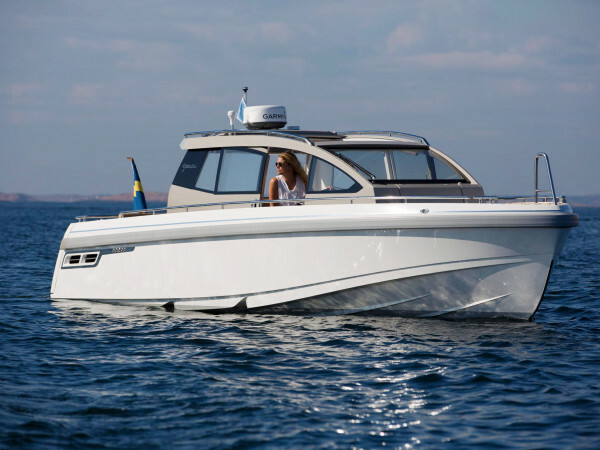 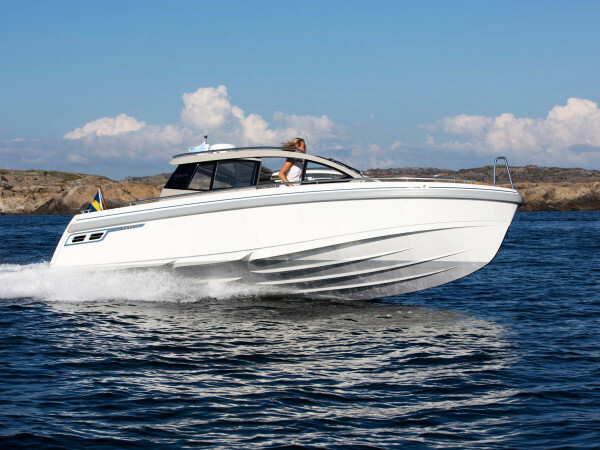 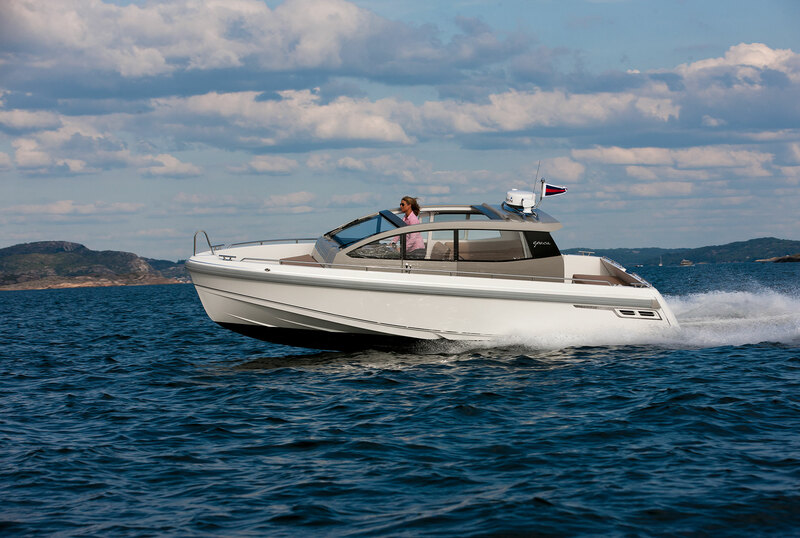 The boat can be driven at all speeds with a low planing threshold and sensible fuel economy and provides a secure and comfortable feeling for all those aboard. 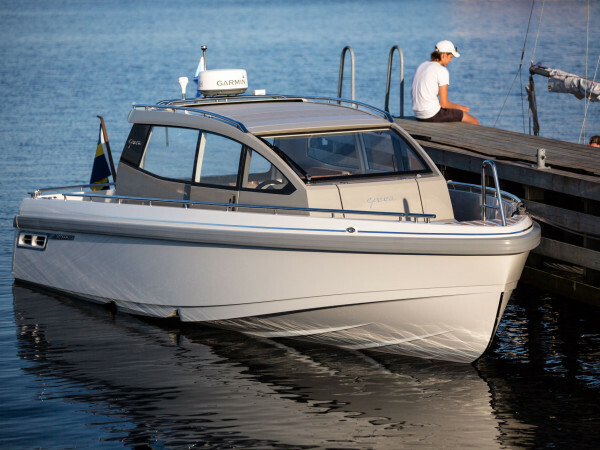 This is a boat for one, two or eight people of all ages who wish to ride, transport, socialise, sunbathe, swim, fish, camp out or just enjoy the sunset. 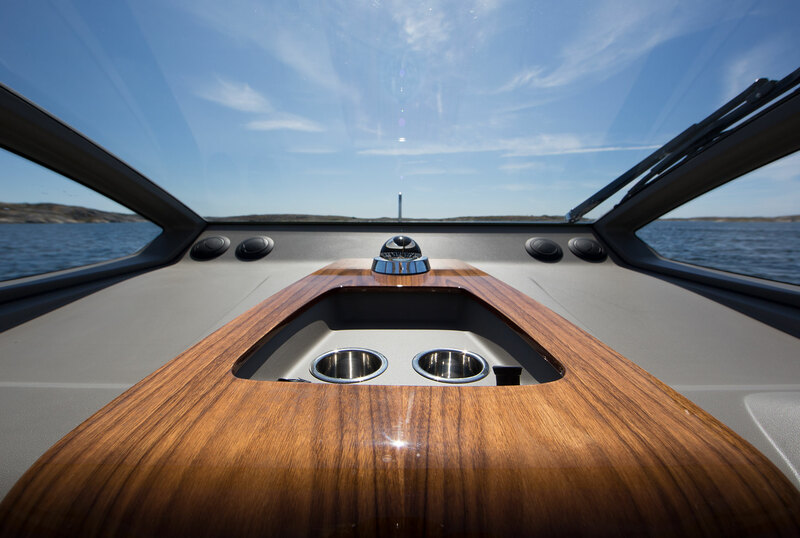 Because the entrance to the head is from the foredeck, the helm has been designed exactly as we wanted it to be. 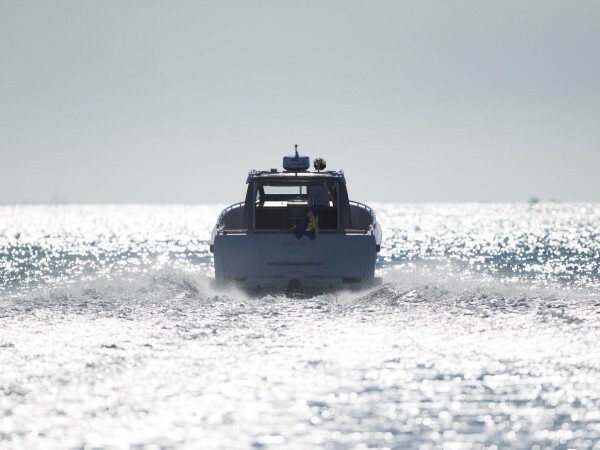 That is to say, optimised for the helmsman with good visibility in all directions, just the right amount of instrumentation with a large, centrally positioned fixed plotter. 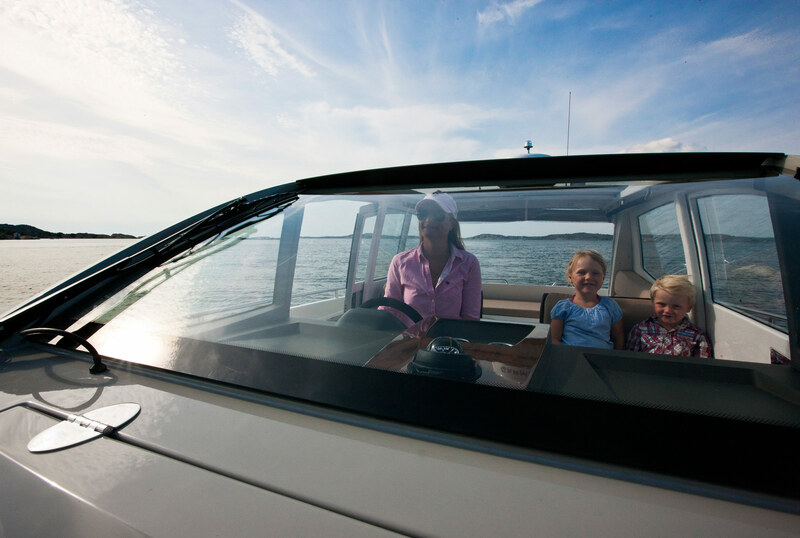 Here you can enjoy the boat ride and the company without being distracted. 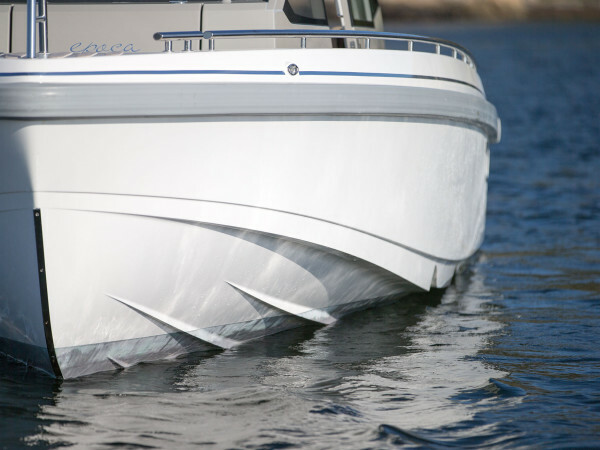 The stern folds down to form a large area for swimming, sunbathing and socialising. 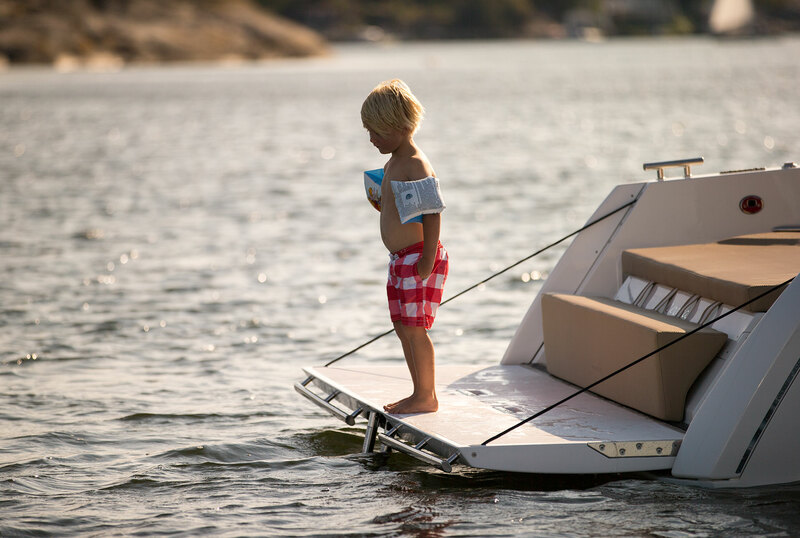 The space can also be used for loading small boats and other bulky objects.The bathing platform is especially wonderful for swimming because it sits just above the water, making it easy to get in and out. 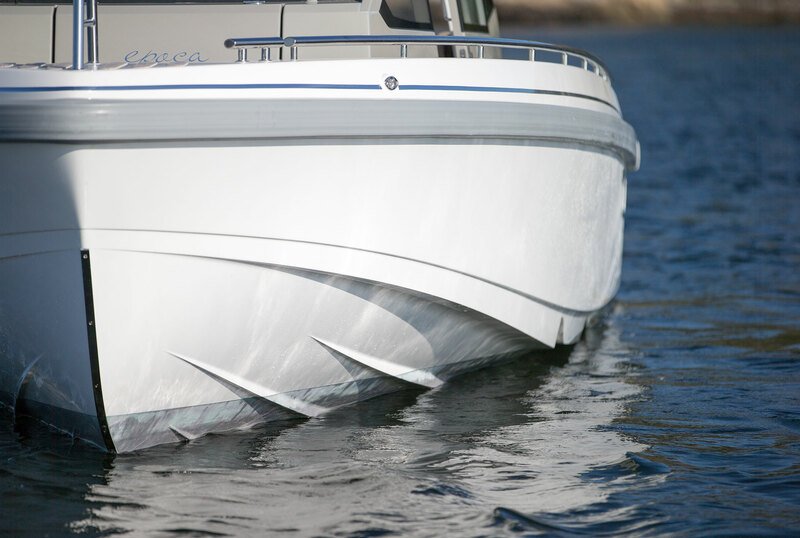 The stern folds up or down electrically. 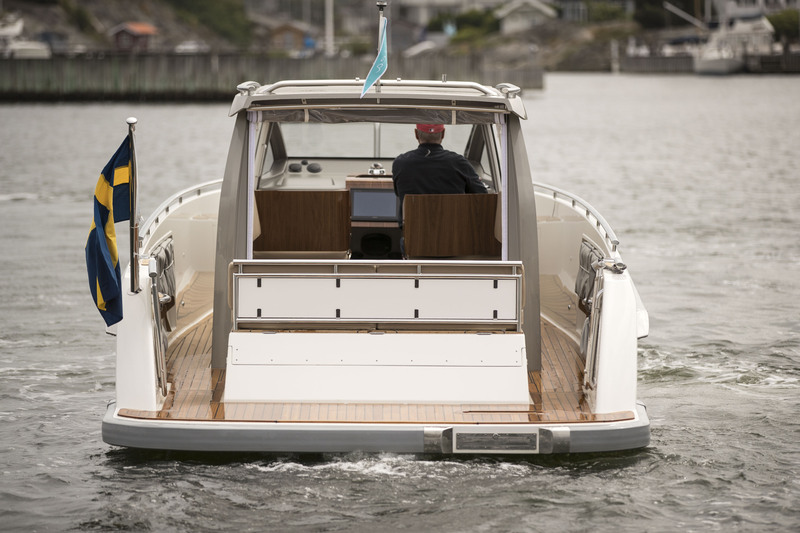 The control buttons are placed on the starboard side of the hull astern. 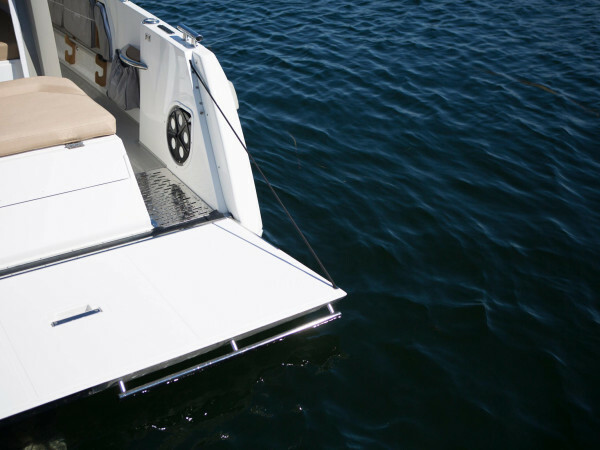 The floor of the after-deck can be varied, in standard as white laminate or fitted with a teak deck. 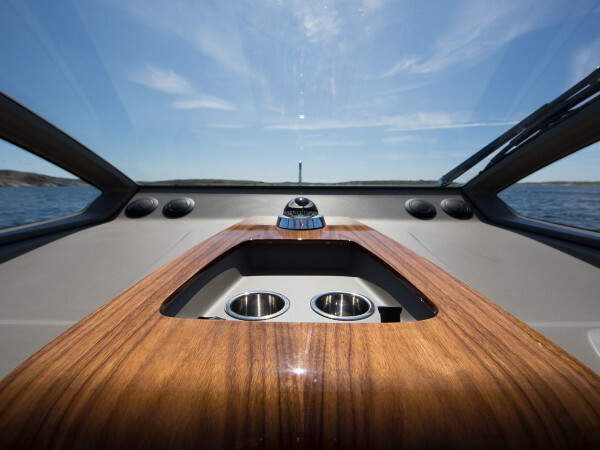 Because the entrance to the head is from the foredeck, the helm has been designed exactly as we wanted it to be. That is to say, optimised for the helmsman with good visibility in all directions, just the right amount of instrumentation with a large, centrally positioned fixed plotter. 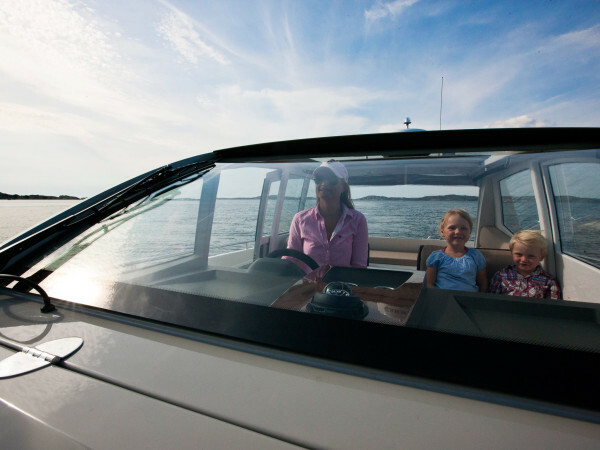 Here you can enjoy the boat ride and the company without being distracted. 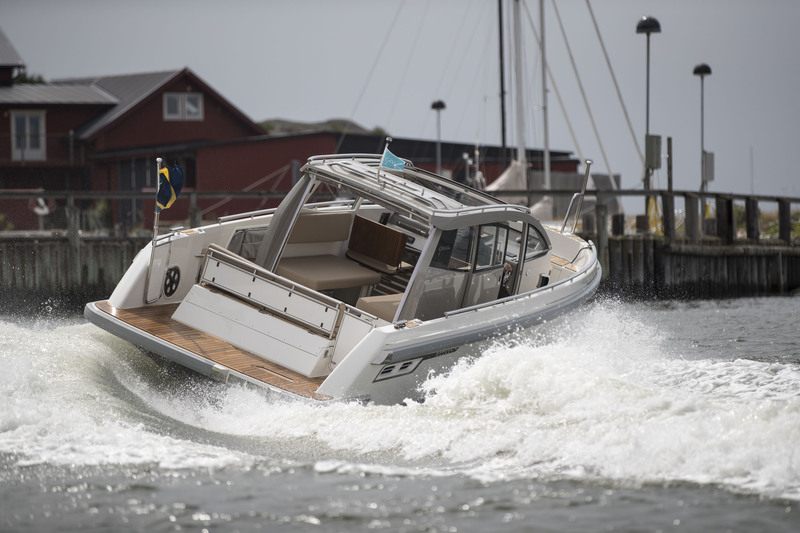 The yard lies on the West Coast of Sweden, north-west of Göteborg. 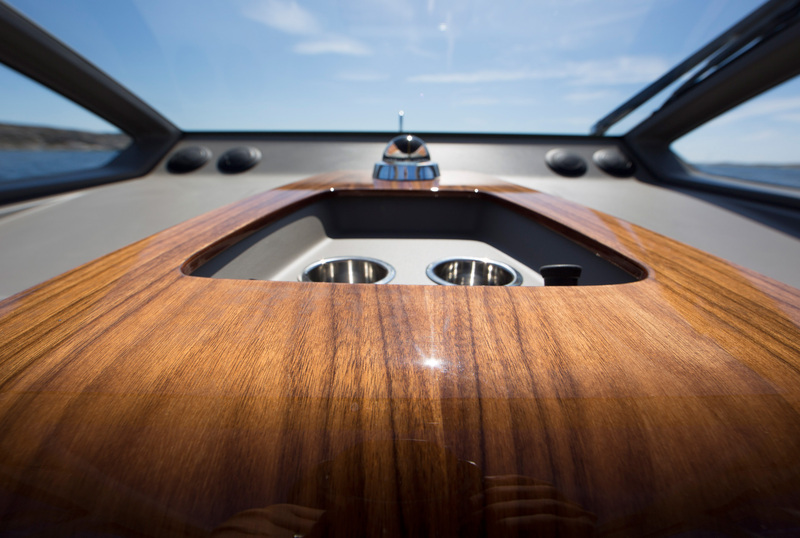 The company builds all kinds of wooden boats, provides joinery for both boats and interiors.